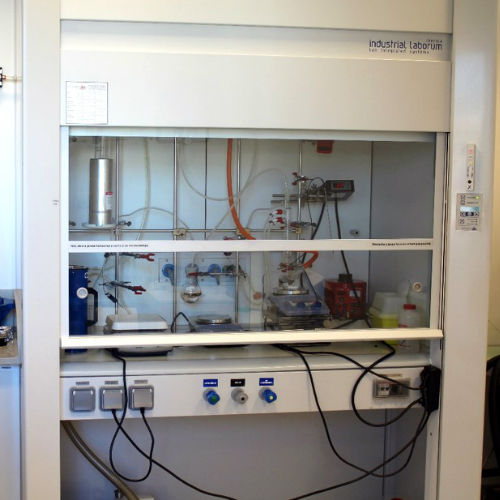 “Perun”: proton-exchange membrane fuel cell with membrane electrode assembly used for water electrolysis. 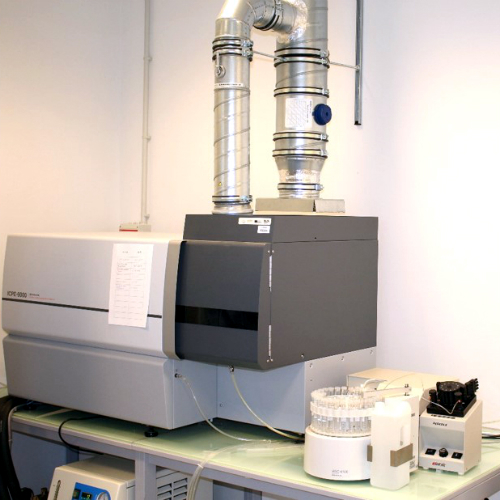 CatLab also provides access to several characterization methods (TGA-DSC-MS, N2 physisorption, DLS, UV-Vis, OM, etc.) 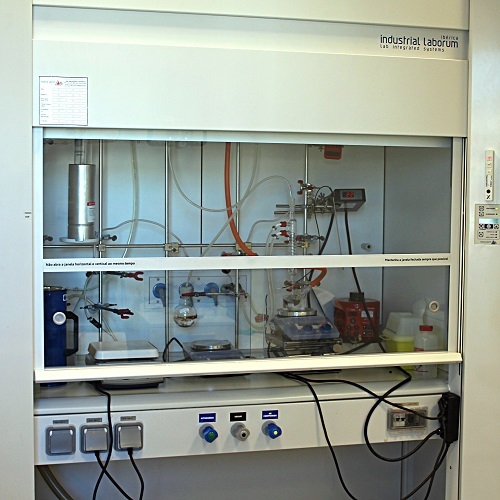 as well as high-temperature tube furnace with controlled atmosphere. ChemLab is dedicated to carry out organic synthesis, preparation and testing of covalent organic frameworks and advanced adsorbent materials and is equipped with two specialized fume hoods for materials synthesis, rotary evaporator, and a microemulsion system. 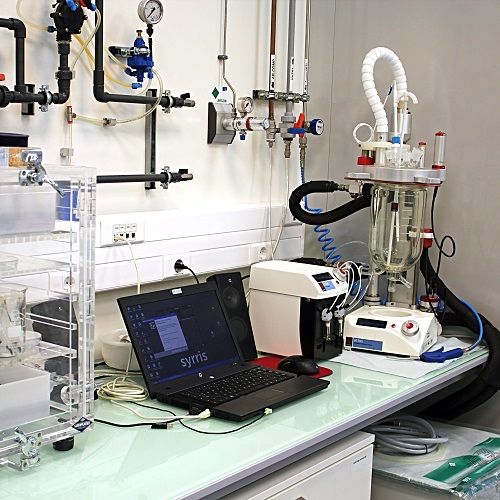 NanoLab is dedicated to carry out synthesis, assembly, functionalization, and scale-up of nanoparticles and nanostructures and is equipped with two specialized fume hoods for wet chemistry, batch reactor, Milli-Q water system, and set of centrifuges. 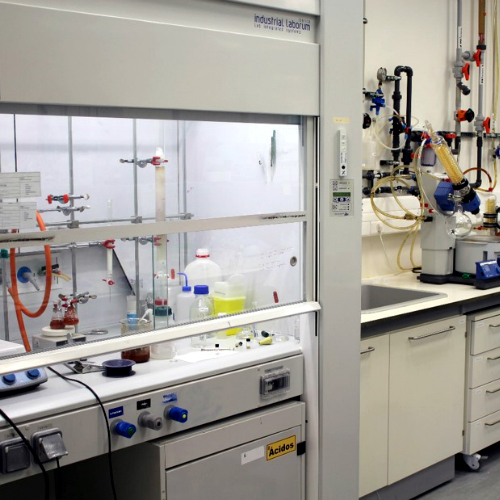 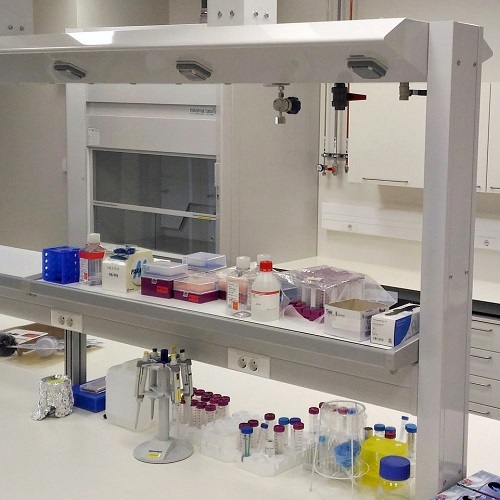 SynLab is designed for air- and moisture-sensitive chemistry, and is equipped with a Schlenk line, glove box, and a specialized fume hood for materials synthesis. 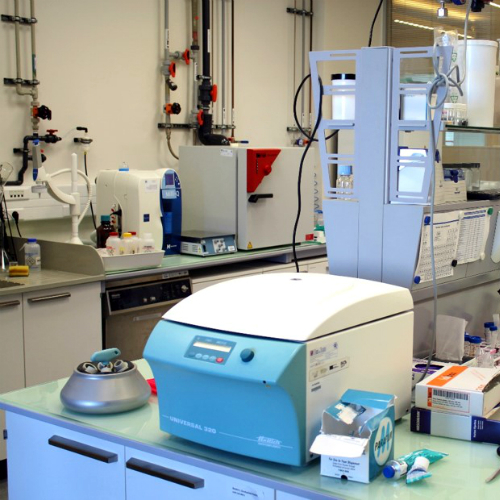 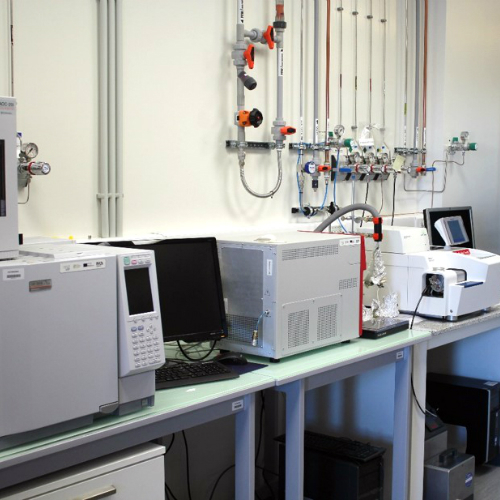 SynLab also houses an ICP–OES elemental analyser. 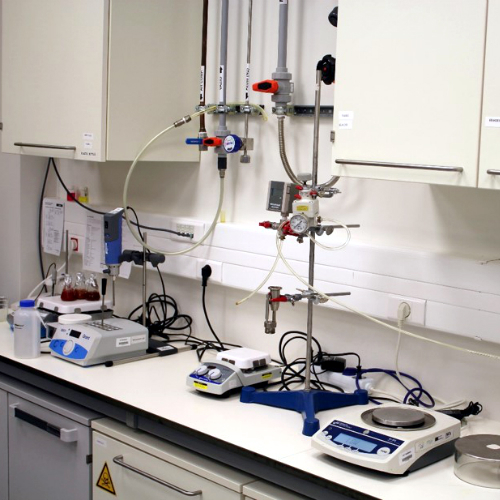 InnovaLab - is purpose-designed and equipped to successfully conduct the innovation projects with Industry. 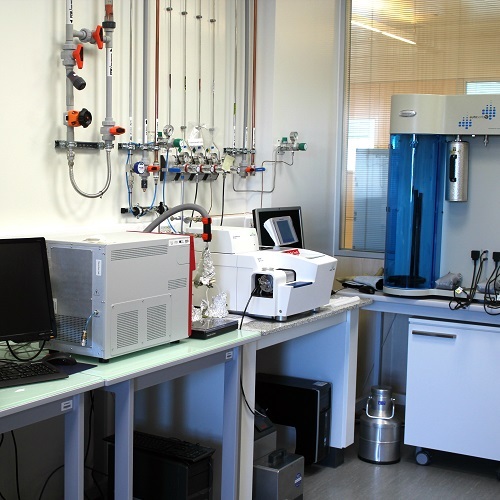 Specifically, equipment/methodologies/techniques established in the InnovaLab address company-oriented research in the areas of plastic, ceramic, glass, wood, textile, and alloys. 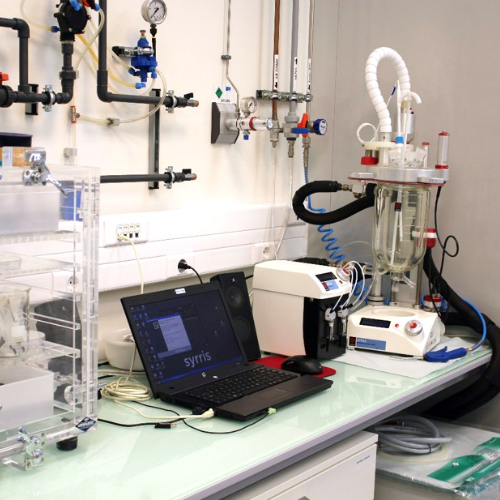 Various fabrication and characterization facilities are available at the host institution - INL (International Iberian Nanotechnology Laboratory). 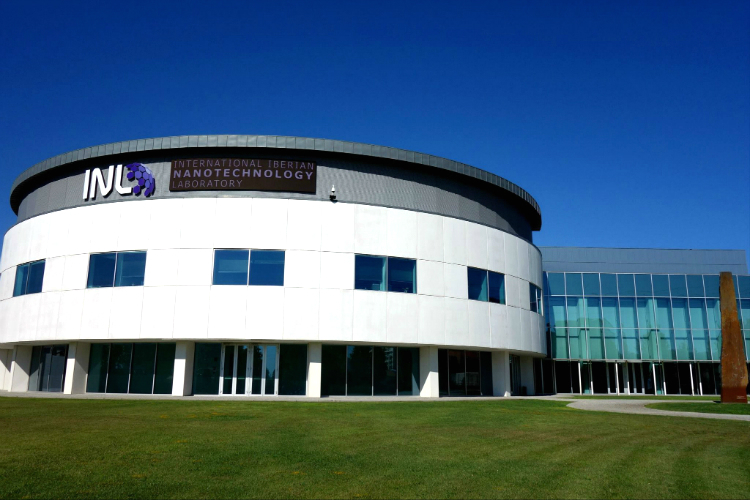 In particular, we have access to top-down fabrication methods (photolithography, e-beam lithography, etching, etc. 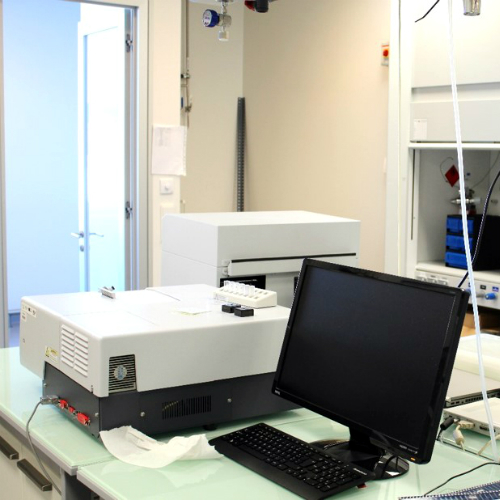 ), as well as state-of-the-art characterisation facilities, such as transmission and scanning electron microscopes, probe microscopes, X-ray facility, spectroscopy facility, electrical characterisation and magnetic properties measurement facilities, etc.